From the answers concerning personal fears it emerged that the three most important fears in society are the “unpredictability and instability of life” (30%), “serious illnesses, ending up in hospital” (24%) and “material insecurity, the inability to pay the bills at the end of the month” (23%). These fears were closely followed by the fear of dependency, of being exposed to circumstances beyond their control (21%), and migration (20%). On the whole, we found that a significant portion of fears in society stem from insecurity and the concomitant unpredictability of life. The sense of “we don’t know what tomorrow will bring” instils fears into people’s minds. The fear of losing control also tends to be pronounced. Among Fidesz supporters, the most important fear – which is also typical of other groups, however – is that of migrants and the potential war caused by them, the “Third World War”. When we asked respondents to select those three among the listed events that most concern them in connection with the fate of their country, the issue of healthcare was mentioned most often with a significant lead over other issues. Every second Hungarian is concerned about the state of healthcare deteriorating further. 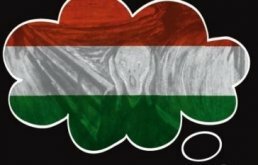 The second most prevalent fear, mentioned by roughly a third of all respondents, is the impoverishment of Hungarian society. 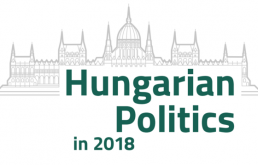 In addition to these, every fourth respondent is seriously concerned that the social disparities will continue to rise further in Hungary, that the gap between the rich and poor will widen. These topics also show that the primary concerns within society tend to pertain to leftwing issues. In other words, once again it has been affirmed that not only in terms of its dreams and vision of the future, but also with respect to its fears, Hungarian society typically leans left.